Abby Tessmann is a 2014 self-advocate WI LEND graduate. 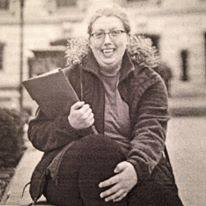 Abby has taken the policy and leadership skills she learned in LEND to the local, state and national levels, advocating for disability rights. Abby meets regularly with legislators to tell her story. She uses her social media presence to inform the public of upcoming disability advocacy events. Abby is a graduate of the Cutting-Edge Program at Edgewood College. The WI-LEND program provided Abby the opportunity to discover her passion for disability policy and advocacy. Abby continues to contribute to LEND through participation in panel discussions. Stay up-to-date on disability advocacy at Abby’s Facebook page! 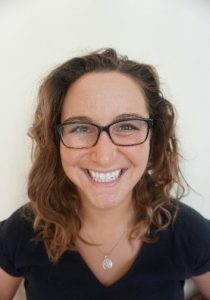 WI-LEND Public Health trainee Kali A. Kramolis and Robert A. Peterson Jr. of the Madison-based ABC for Health recently published “Robert A. Peterson Jr. and Kali A. Kramolis: Valuable child health care program is flying under the radar” in The Cap Times. HealthCheck is a federal Medicaid program that can provide critical preventive healthcare to Wisconsin children, but it is underutilized. “Historically, Wisconsin consistently fails to address and serve the health care needs of many vulnerable children. We can and must do better. And we will. That is why we are creating an action plan to help Wisconsin’s children.” The HealthCheck Task Force is developing accessible outreach to help ensure everyone is aware of this vital program. Click here for the full article and information on how you can help.